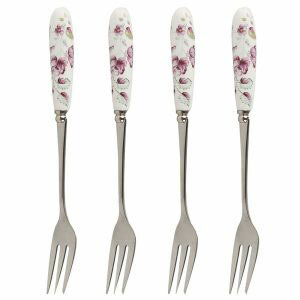 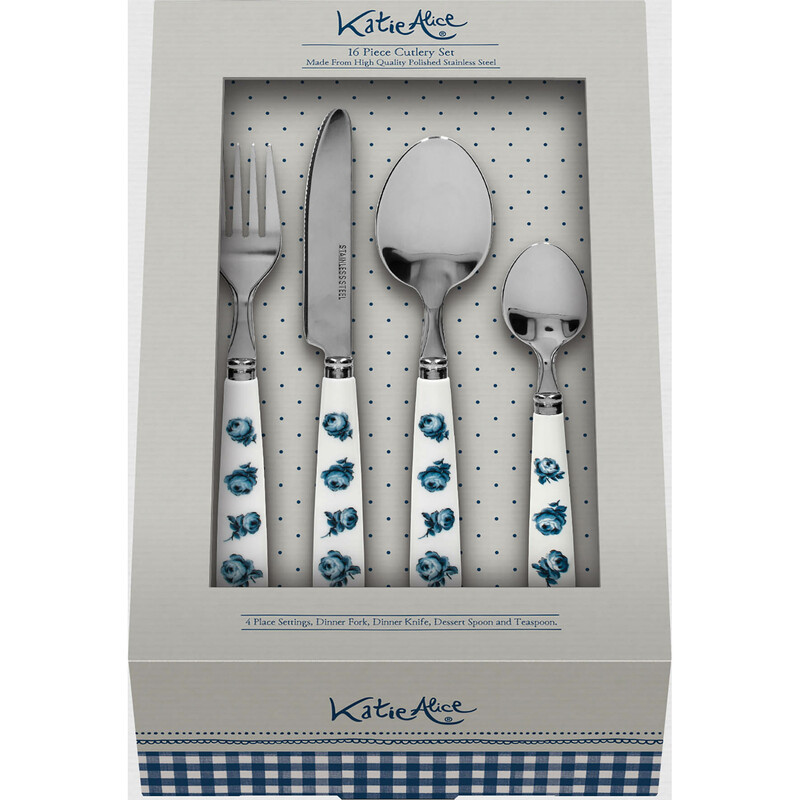 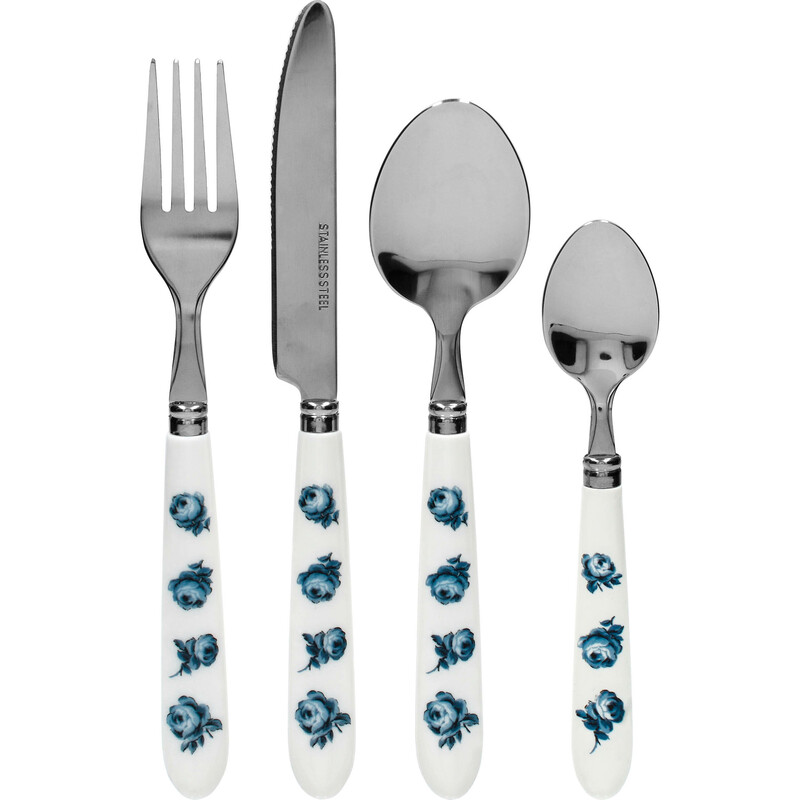 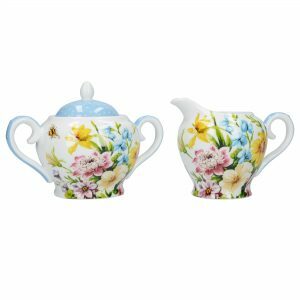 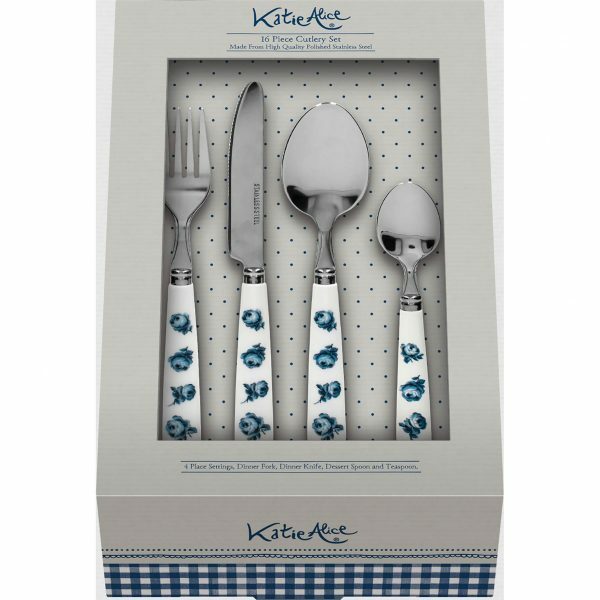 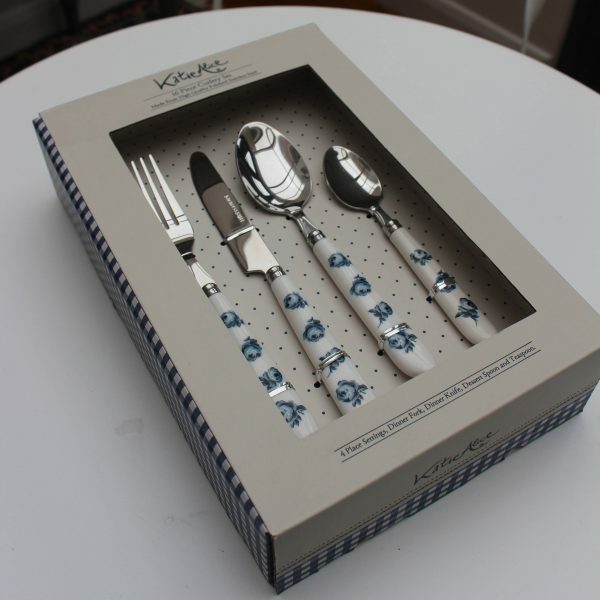 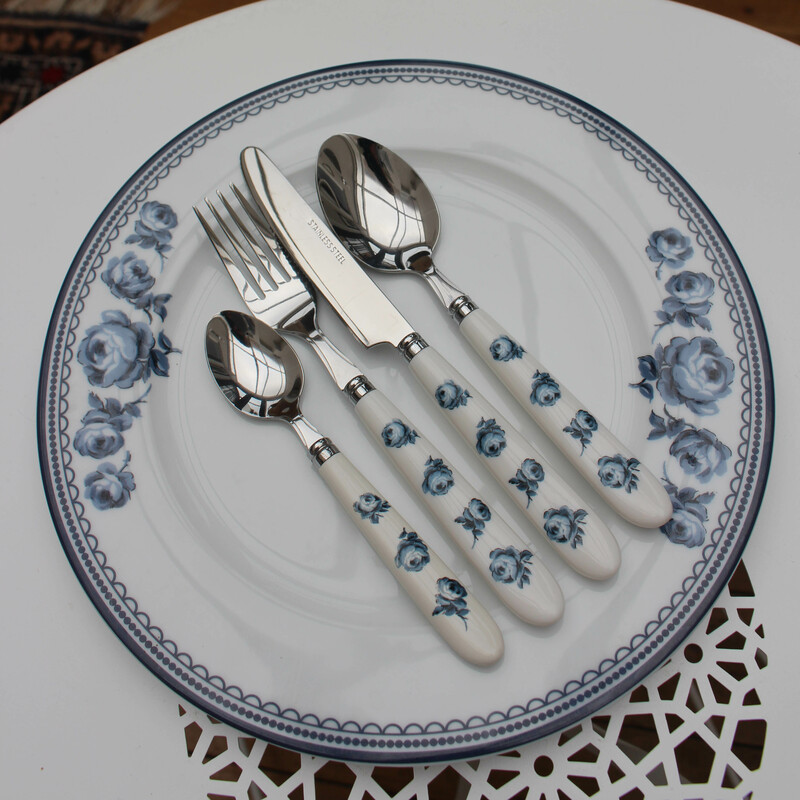 The pretty blue roses from our popular Vintage Indigo design sit perfectly on the handles of this new 16 piece cutlery set. 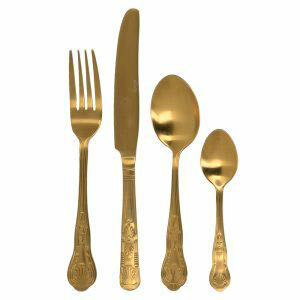 Including 4 knives, 4 forks, 4 dessertspoons and 4 teaspoons, it has curved white handles which are comfortable to hold and is finished with stainless steel. 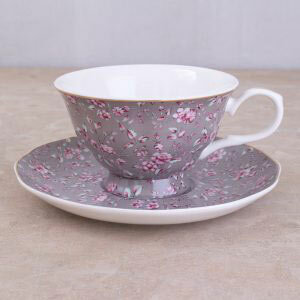 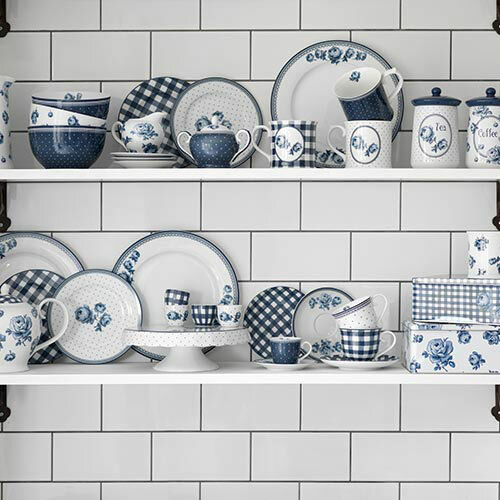 The Vintage Indigo design is inspired by the blue and white delft tiles Katie saw when she was visiting Rembrandt’s house in Amsterdam, with the vintage blue roses sitting against fresh white backdrops for a modern take on a classic design.